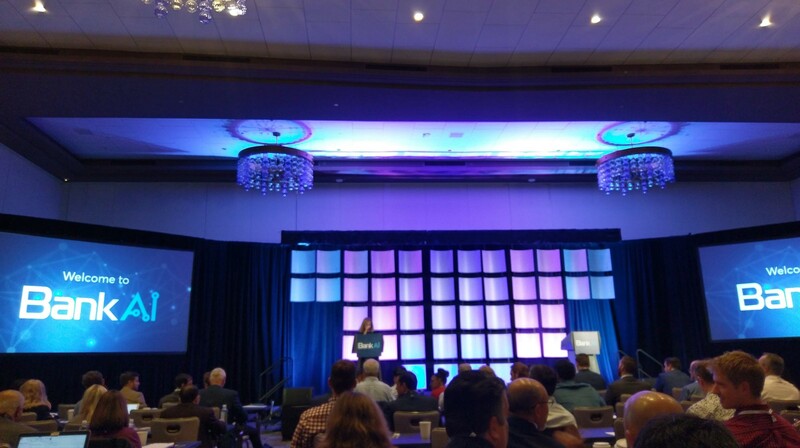 We have attended Bank AI 2018, where many of the largest banks in the United States attend and share experiences. Our CEO, Mr. Burak Arik went up on the stage and talked about our grandparent company Isbank’s work and studies on Artificial Intelligence. 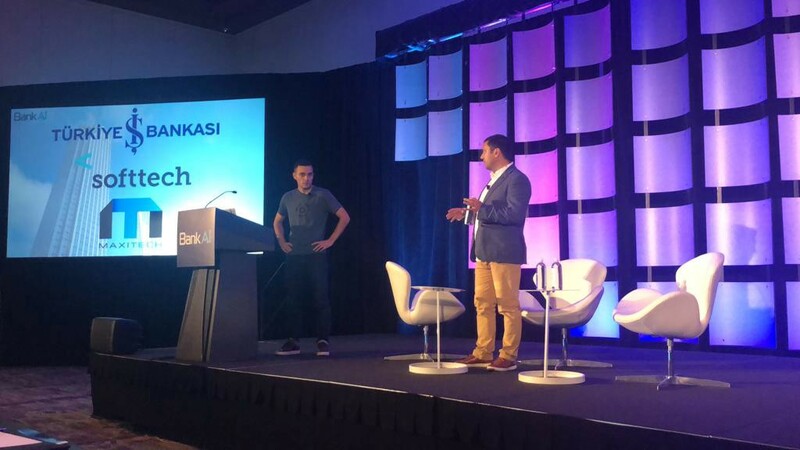 We received a very positive feedback on this talk, and we have a very high opinion of Bank AI and the attendees so naturally we wanted to share our experience. HSBC in the United Kingdom has started utilizing AI to identify money laundering operations. According to the speech, it would have taken the lawyers decades to manually investigate each case. Decision algorithms used to determine credit worthiness have reached a success rate of 75%, surpassing human success in the same field. Bank of America is using AI to determine the best candidates in employee hiring processes. Robotic Automation is a greater threat for the industry regarding job security. Re-training of the industry workers and re-evaluation of their competencies seems unavoidable. Its not the people without required competencies who should be worried about finding a place in the current market, its people unwilling to change and transform for the new market. They are working with a centralized AI management system instead of each team in the Bank working with their own version. They believe this method to be much more effective. Especially successful in preventing project repetitio. He gave the example of them realizing several project groups were working on three very similar projects working with three different software development companies. He stated that the support from management is much more important than any other factor for spreading the AI applications inside the company. During the conversation Chuck said that even the most uninterested business unit cannot remain that way when you approach them as a team with budget, intention and support behind them. Prototyping as a first step is crucial, followed by tracking the effects of the applications in live environment and using the obtained data to plan the next steps. This has been the best practice as far as Wells Fargo is concerned. After taking the AI applications to live environment, the most important issue for the banks is the explainability of the AI. You have to be able to answer the questions along the lines of “Why was my application for credit rejected?”. The most difficult obstacle in their way was spreading the Artificial Intelligence awareness. Being patient and not giving up on the actions taken is very important to overcome this. Small and fast steps towards the goal is highly valuable. Apart from the points mentioned by Chuck Monroe, he elaborated the projects and topics of interest US Bank is currently working on. The topic that caught our attention was Ambient Data and its use in Artificial Intelligence. He mentioned that banks will be needing to focus on this issue very soon. HSBC Presentation was focused on the Pepper experience they revealed recently. They learned a lot from Pepper. He stated that they were already answering the urgent questions of customers in the branches. The positive effect of Pepper on the customer experience (especially for the time spent being serviced) was measured, as everyone interacting with Pepper left the branch satisfied. The effect of Pepper malfunctioning, being confused or misunderstanding a question was minimal as customers saw Pepper as human and were tolerant towards her. To sum it all up, we saw that Artificial Intelligence is maintaining, and even increasing the effect it already has on the banking industry. Trends in other events such as Tech Crunch is supporting this particular takeaway of ours as well. But, it also has a more visible social impact, as we can safely say that the explainability issue has far surpassed the ethical issues in the Finance sector. This suggests that it should be a priority to invest in making our AI applications more explainable.